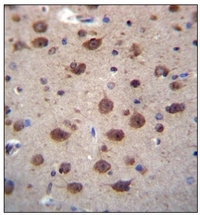 Immunohistochemistry analysis in formalin fixed and paraffin embedded human brain tissue reacted with PNKD Antibody (N-term) Cat.-No AP53364PU-N, which was peroxidase conjugated to the secondary antibody and followed by DAB staining. 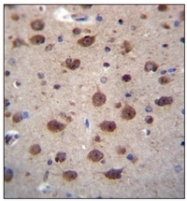 This data demonstrates the use of PNKD Antibody (N-term) for immunohistochemistry. Clinical relevance has not been evaluated. Western blot analysis of PNKD Antibody (N-term) Cat.-No AP53364PU-N in mouse liver tissue lysates (35ug/lane). 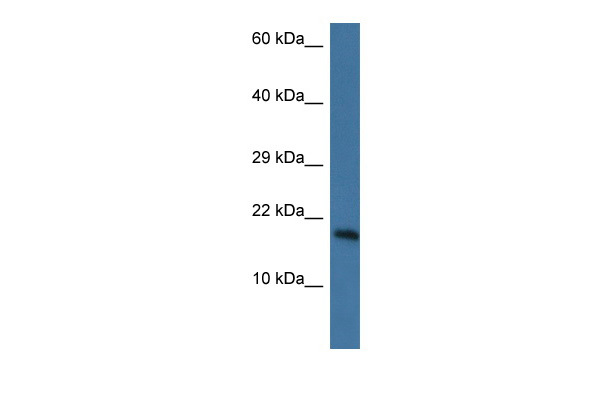 This demonstrates the PNKD antibody detected the PNKD protein (arrow).